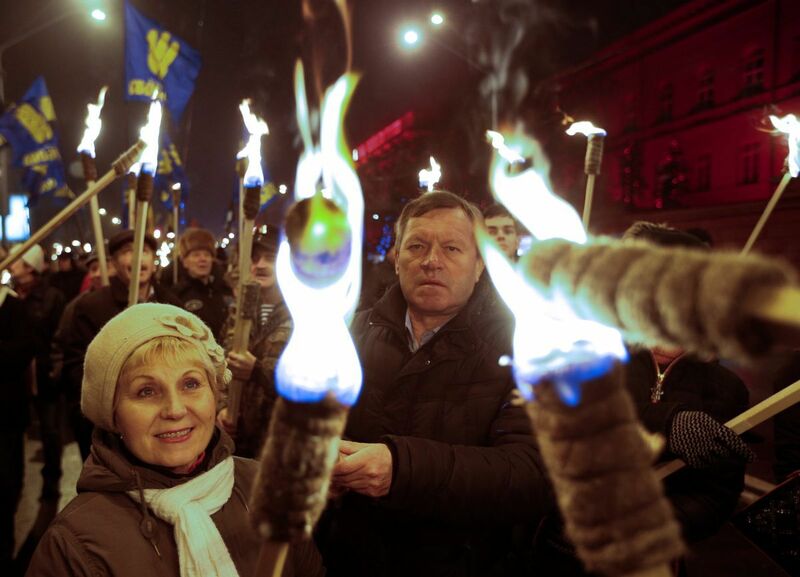 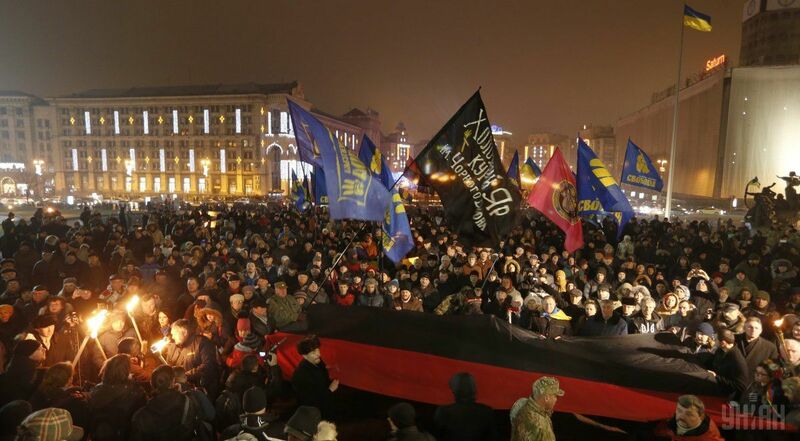 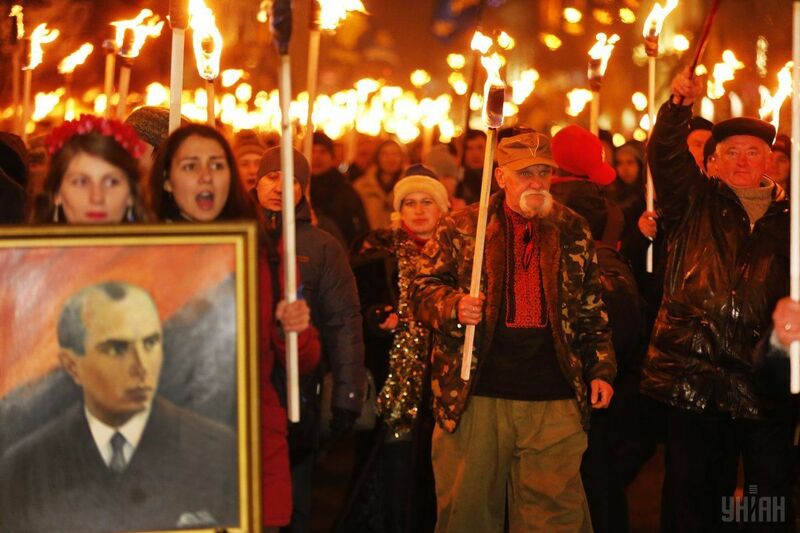 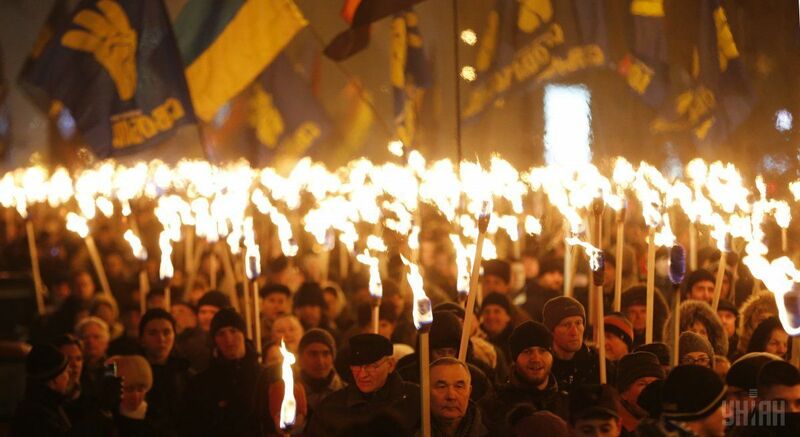 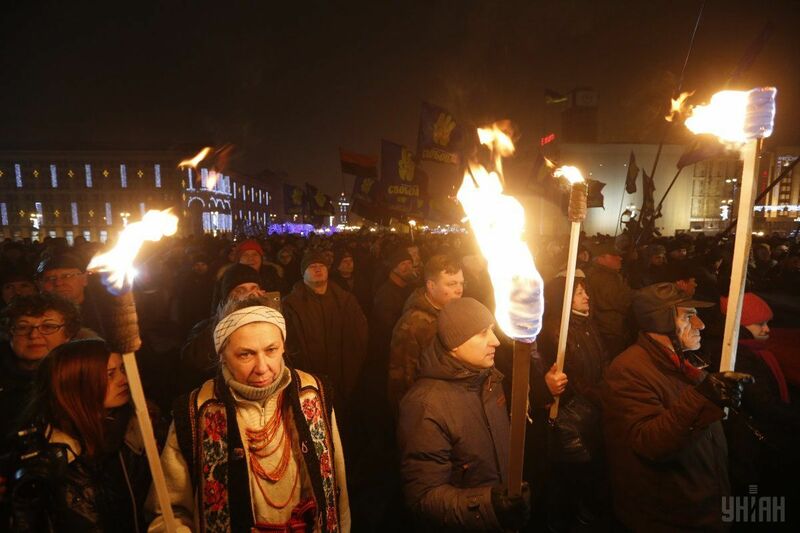 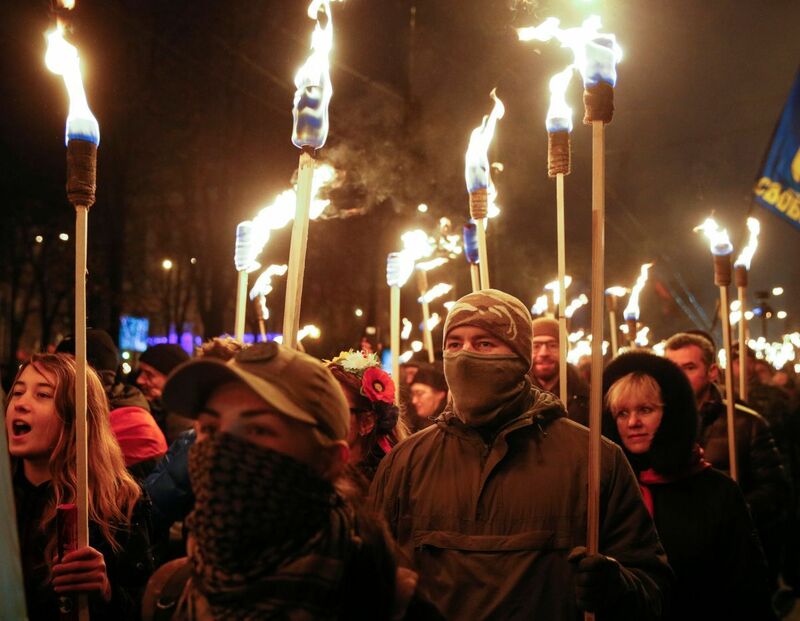 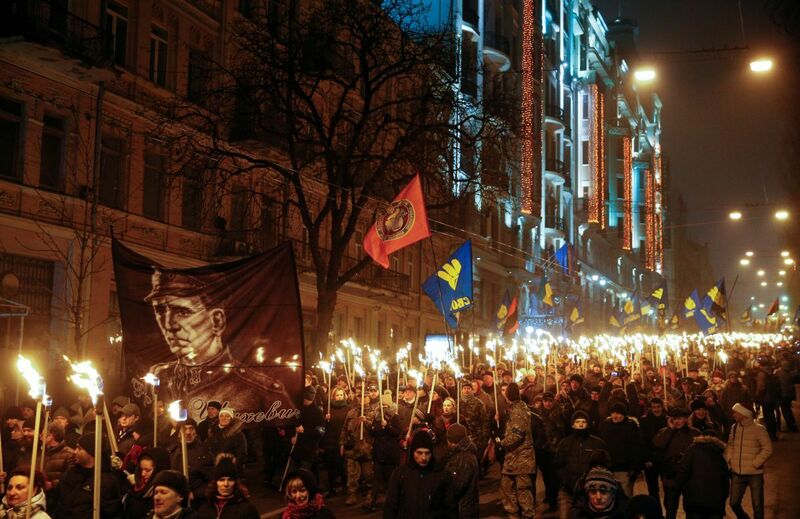 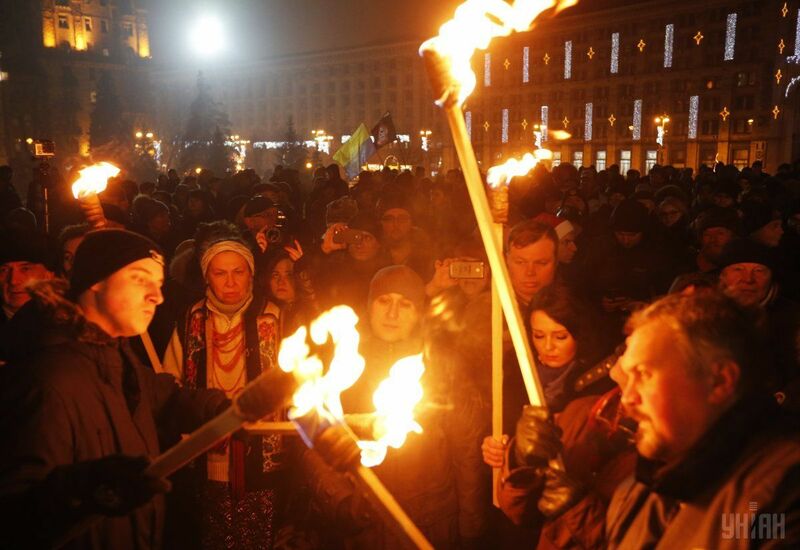 More than a thousand supporters of the political party "All-Ukrainian Union 'Svoboda'" [Freedom] and the Organization of Ukrainian Nationalists (OUN) took to Kyiv streets January 1 in a torchlight procession followed by a so-called "Viche" [Popular Assembly] on the occasion of 108th anniversary of the birth of the OUN leader, Stepan Bandera. 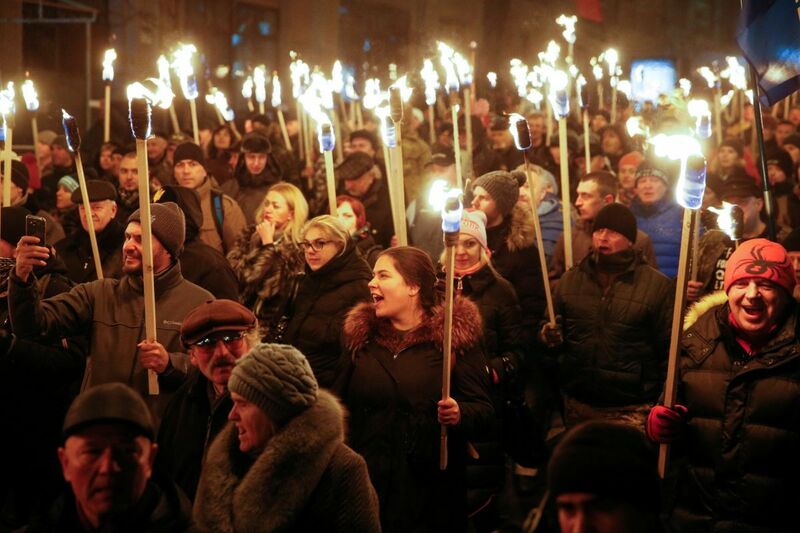 During the Viche, the participants honored the memory of their fellow Ukrainians from among the representatives of Svoboda, who had been killed in Donbas. 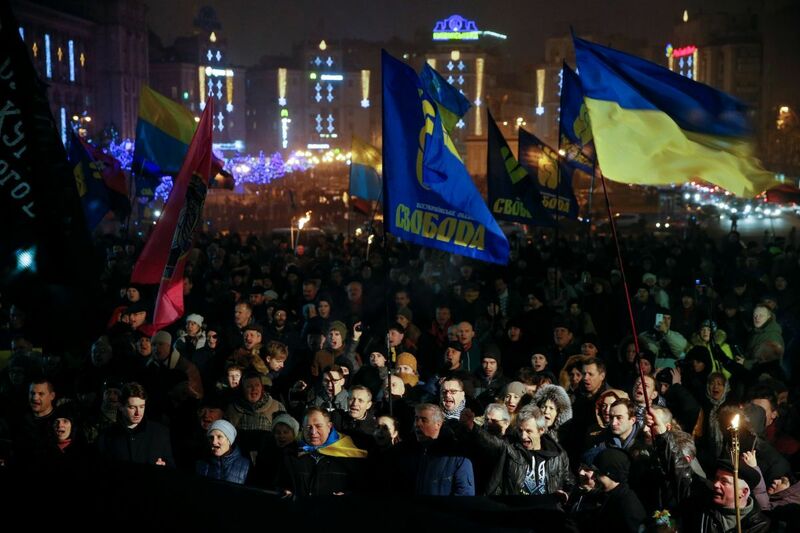 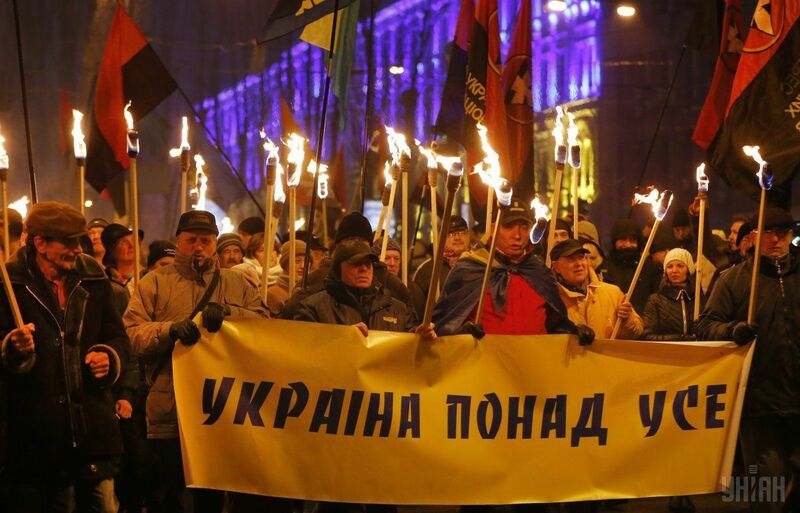 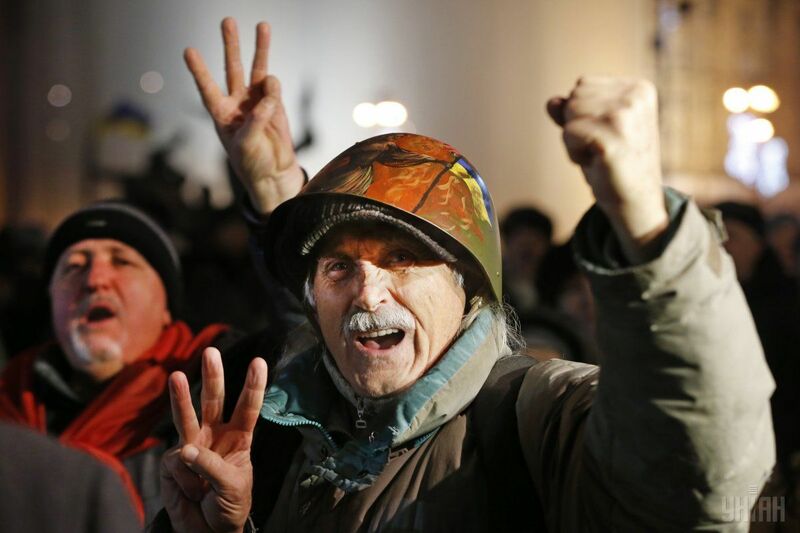 Svoboda supporters insist that the Donbas hostilities must be called the Russian-Ukrainian war, an UNIAN correspondent reported. 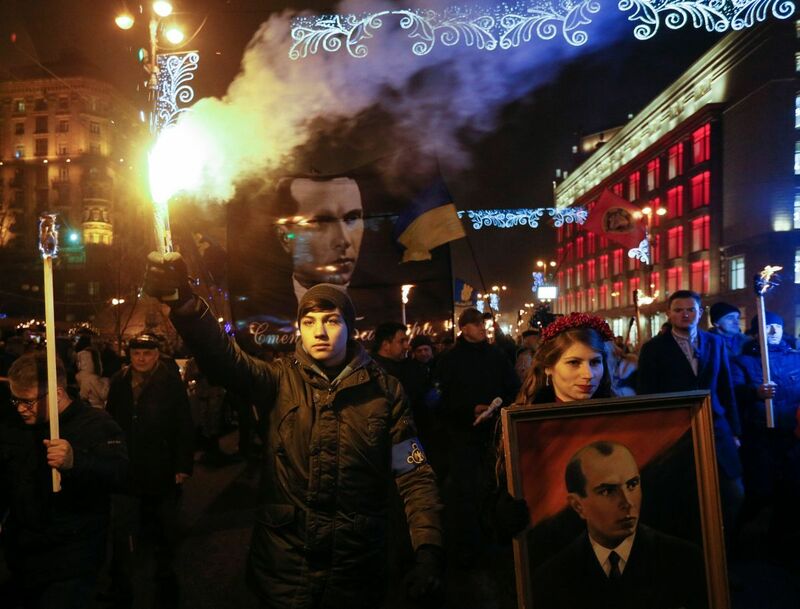 "Stepan Bandera is an example of how the Ukrainians must fight for their nation," said Kyiv City Council Deputy (Svoboda) Ihor Miroshnychenko. 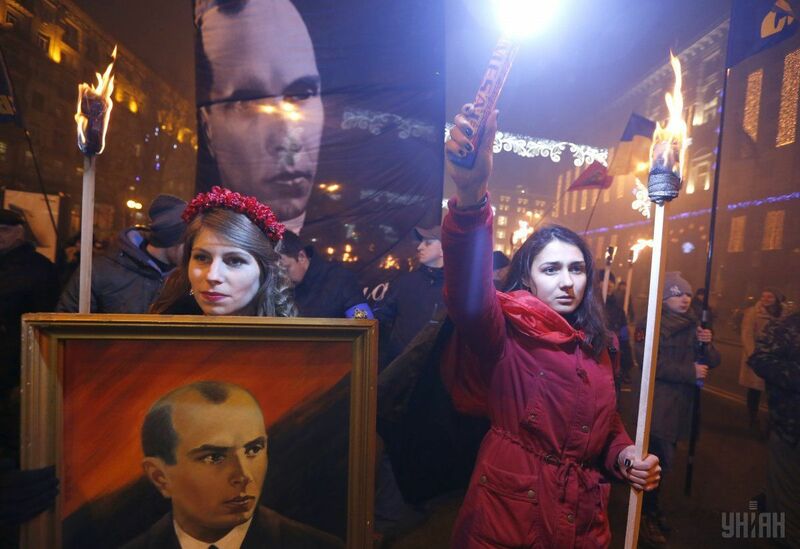 Read alsoKyiv's Moskovskiy Avenue renamed after Stepan BanderaStepan Bandera’s birthday is not considered a state holiday in Ukraine. 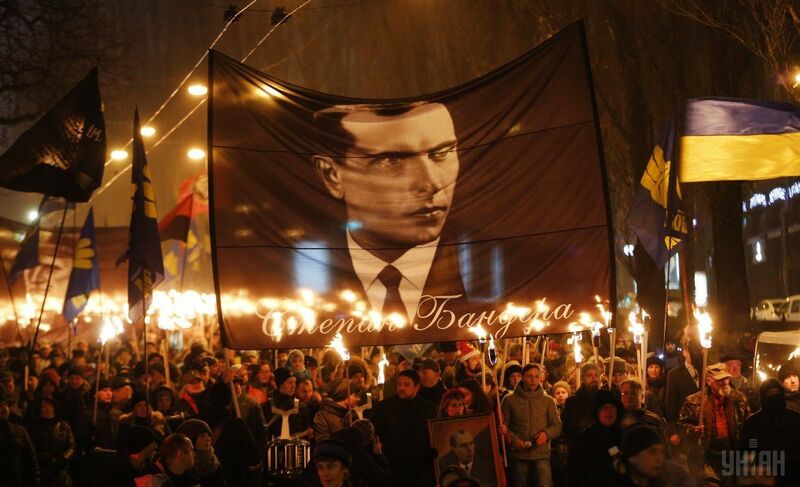 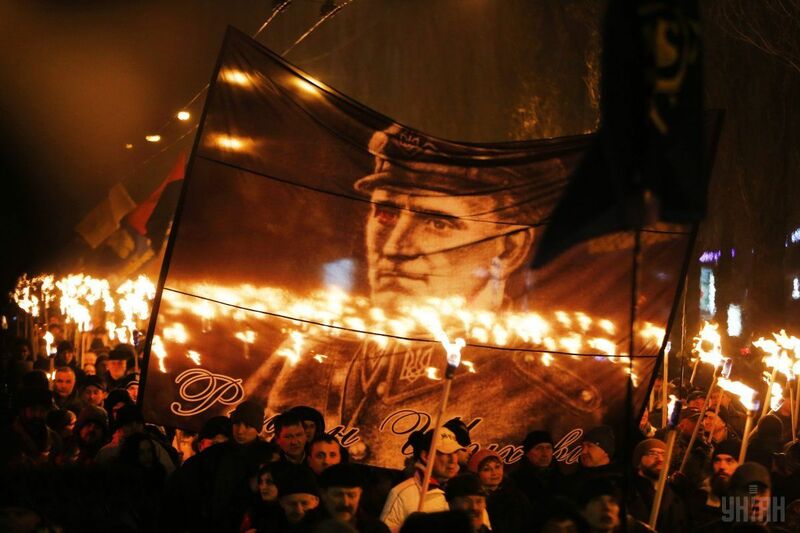 Russian propaganda masterminds have been using the figure of Stepan Bandera and the derogatory term “banderites” initially referring to OUN supporters but eventually – to Ukrainians in general, to incite hatred and radicalize popular opinion in Russia against Ukraine as part of hybrid warfare.